Therefore, for the sake of accuracy, Rudoren—in order to show that it’s her translation, not the colonel’s—should have placed the translation attempt within parentheses or brackets. But that is not the only problem. The translation itself in Rudoren’s article is problematic. “Allahu akbar” is commonly mistranslated as “God is great.” But shouldn’t a higher standard of accuracy be expected of the “newspaper of record” in the United States, as the Times is widely known? First, the generic word for “god” in Arabic is “ilah,” while the proper name (or unique name) for Islam’s god is “Allah.” Thus, the god referred to in “Allahu akbar” is the god defined in the Quran (or Koran) and Hadith (sayings of the Prophet Muhammad). In jihadist ideology, if not Islamic theology, the difference between “ilah” and “Allah” holds more significance than press accounts like Rudoren’s infer. The God defined in the Hebrew Scriptures and the Christian New Testament is not synonymous with “Allah.” Second, the word for “great” is “kebir” (not “akbar”) in Arabic—“akbar” means greater/greatest. The question may be, greater than what? Is Allah greater than the gods of other religions, or simply, is the universal God greater than anything else? The non-interchangeability of “ilah” with “Allah” suggests the former. So, in this Islamic society, and also presumably in essentially all of the dozens of Islamic countries, “Allah” refers only to the deity of Muslims. It is not the generic word for God so it is incorrect to translate it as “God” in an English-language phrase. The phrase “Allahu Akbar” is accurately translated as “Allah is greater,” conveying the meaning that Allah is greater than any non-Muslim object of worship. The upshot of all this is that the jihadist’s intention in shouting “Allahu akbar” is to inspire and justify the terrorist attack being committed in the name of “Allah.” The politically correct mistranslation of “Allahu akbar,” obscuring the truth of the jihadist’s war cry, does the public no favor. The media’s intentional incorrect rendering of “Allahu akbar” seems to be indicative of a mindset that justifies this dishonesty by some humanistic rationale and/or by one considering it necessary in order to avoid arousing ire within Muslim society as well as among jihadists. Another such case is the media’s virtual omission of coverage of the Palestinian Arab societal chronic brainwashing of its populace to believe that Jews are not a people, do not deserve a state, and have no historical ties to the land of Israel. The hatred is fueled by a steady stream of anti-Semitic, anti-Israel incitement from Palestinian media, mosques, and schools that underlies the conflict with Israel. But the media have essentially withheld from the American public information about this Palestinian Arab brainwashing and its inevitable disastrous consequences. Sometimes, it is necessary for the media to shed its political correctness, if only temporarily, in order to inform the people about these critically important matters. 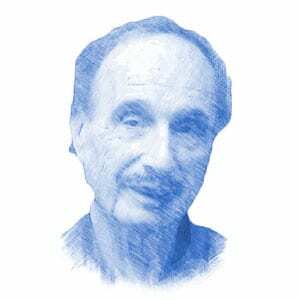 Myron Kaplan is a senior research analyst with CAMERA, the Boston-based 65,000-member Committee for Accuracy in Middle East Reporting in America. He is a media analyst specializing in coverage of the Arab-Israeli conflict.